Russian President Vladimir Putin called his first summit with President Donald Trump a success — but warned Thursday that Trump's opponents in the U.S. are hampering any progress on what they discussed, such as limiting their nuclear arsenals or ending the Syrian war. In his first public comments about the summit, Putin told Russian diplomats that U.S.-Russian relations are "in some ways worse than during the Cold War," but that his meeting with Trump on Monday allowed them to start on "the path to positive change." "It's naive to think that the problems would be solved in a few hours. But no one expected that," Putin said. 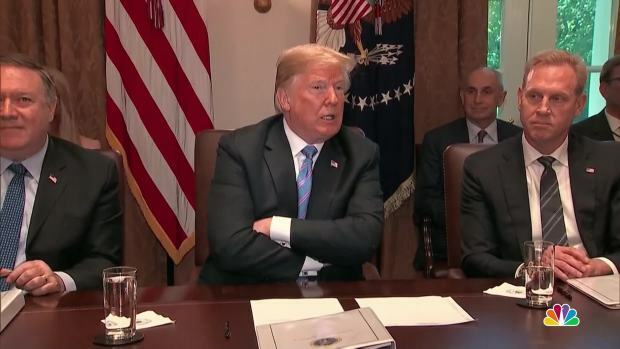 Trump, by contrast, has come under widespread domestic criticism about the meeting both from Democratic opponents and senior Republicans. 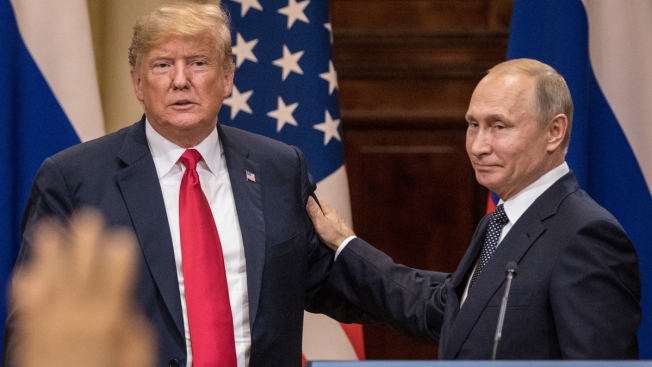 Trump notably flip-flopped repeatedly over what exactly he said to Putin at the summit, and whether he believes that Russia meddled in the 2016 election campaign on Trump's behalf. Trump tweeted Thursday that his critics in the media "are pushing so recklessly hard and hate the fact that I'll probably have a good relationship with Putin." In a possible dig at Trump's unpredictable presidency, Putin vaunted Russia's "consistent, responsible, independent foreign policy." The Russian leader praised Trump's mediation efforts in North Korea, but slammed his decision to pull out of the international accord curbing Iran's nuclear activities. He also lashed out at Europe and U.S.-dominated NATO, saying Russia would hit back with an "equivalent response" to NATO bases near Russia's borders and other "aggressive steps." He didn't elaborate. Russian politicians are rallying behind Putin and shrugging off Trump's wildly contradictory accounts of what he said to Putin at Monday's summit. They are angry, however, at proposals by U.S. lawmakers to question Trump's translator about what the men discussed privately. Konstantin Kosachev, head of the upper house of parliament's foreign affairs committee, said the idea sets a dangerous precedent that threats the "the whole idea of diplomacy," according to Russian news agencies.